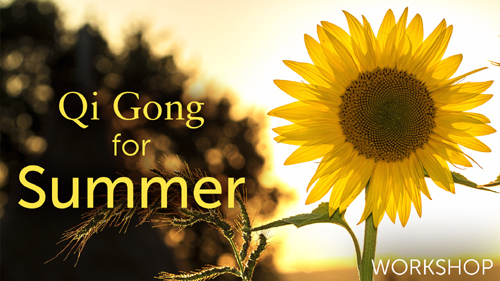 Qi Gong for Summer is about living life to the fullest. It's about living with joy, open-hearted enthusiasm, passionate endeavors, deep friendship, and expressions of love. Summer invites an awakening of the heart. Nature is continues to bloom with life and growth in this season. The wisdom of the heart blossoms in summer. Summer relates to the fire element. Fire represents the source of life force energy, the electricity in the heart, and the power of love. When the fire element is in balance, the heart feels strong, the mind is calm, and sleep is sound. In winter it's important to pay attention to the health of your body. Your body and energy can become weak from lack of exercise and warmth, and it gets sick easier. Which is no fun! Protecting your kidneys is especially important - they are the main energy centers of your body. Your kidney energy is the source of your vitality and longevity, and the storehouse of "Jing Qi" or "essential energy." Just as the seasons cycle and change, the ancients knew that the body mirrors the cycles of nature. This is why Qi Gong mirrors the movements you find in the natural world with spiraling, flowing movements. In fact, during each season there are Qi Gong exercises, flows and routines that will help your body and energy transition from one season to the next… and nourish the element that correlates with the season. 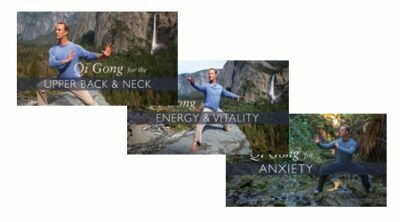 This Seasonal Qi Gong Workshop Bundle will help your body follow the cycles and rhythms of the natural world… and transition from one season to the next full of vibrant, youthful energy. The Seasonal Workshop Bundle contains all our “Seasonal” workshops from 2018 at a highly discounted rate. Each workshop is approximately three hours long and is a combination of lecture and Qi Gong flows, exercises and routines.